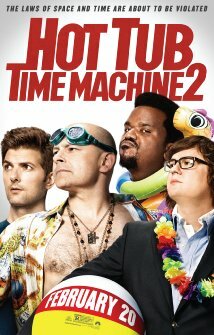 ‘Hot Tub Time Machine‘ (2010) was a brilliant walk down memory lane, of course that walk was in the most irreverent way possible, but it was glorious. 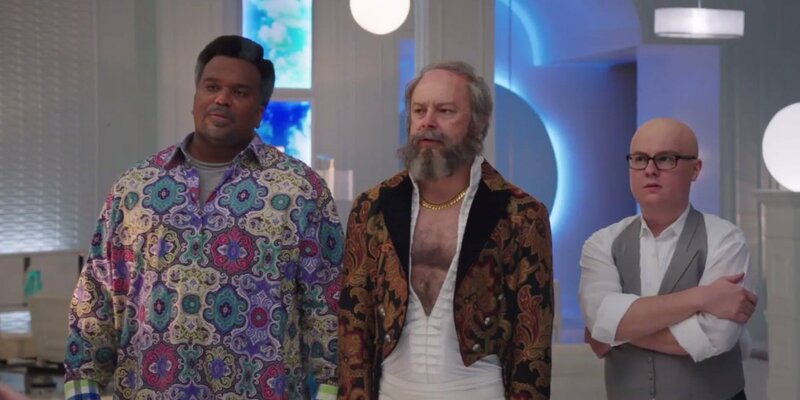 John Cusack, Craig Robinson and Rob Corddry were seamless best friends, the friendship was believable, and didn’t feel like we were watching actors. I adored that film and still laugh uproariously when I re-watch it. A big part of what brought success with the first film is the relationship the three actors had with one another. Not trying to minimize Clark Duke’s part in any way, but he wasn’t as tight to the group as the others were. I’m skeptical of a sequel that doesn’t include John Cusack. Robinson, Duke and Corddry are going to be hilarious for sure, but I’m an 80’s girl and if I can have Cusack in a film, I want him there. At least there won’t be a sad attempt to re-cast the part of Adam, instead we are introduced to his son, Adam. Seriously, try to follow this, Adam from the first hot tub, has a son named Adam that is played by Adam Scott. Not even joking, this is magnificence in casting! Instead of mistakenly being thrown back to the 80’s from the first film, the guys decide consciously to go back to the past to fix a problem with the present. Of course, hot tubs are difficult to drive, so their landing in 2025 will be an entirely different animal than they were prepared for. Paramount has given a new trailer for the sequel and it’s planned to release on February 20. We’re lucky enough to be looking at the same team that wrote and directed the predecessor in Steve Pink and Josh Heald. Check out the trailer, it looks like the flick will be great! This entry was posted on Thursday, December 11th, 2014 at 1:52 pm	and is filed under Film, News. You can follow any responses to this entry through the RSS 2.0 feed. You can skip to the end and leave a response. Pinging is currently not allowed. « Film Review: ‘Top Five’!! I once asked this literary agent, uh, what kind of writing paid the best... he said, "Ransom notes."